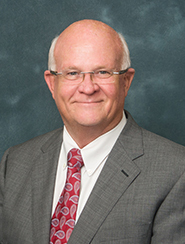 Senator Dennis Baxley filed Senate Bill 330 recently, a piece of legislation that puts the teaching of evolution and climate change in Florida public schools directly in his line of fire. Up until now, all we knew for sure was that he filed a bill that would allow school districts to create their own sets of academic standards instead of using the state’s standards, provided the new standards are equally or more rigorous. (Rigorous is left undefined in the bill, of course.) And if a district adopts their own standards, the bill requires in the new science standards that: “Controversial theories and concepts shall be taught in a factual, objective, and balanced manner.” We’re quite sure what is meant by controversial theories, but we hadn’t heard it directly from Baxley. Now we have. To see the history and regular updates concerning this bill, please follow up on Facebook and Twitter and check our issues page on this bill (“Controversial Theories/Rigorous Standards” Bills 2019) regularly.